It’s the news that e-commerce stores have been waiting in anticipation for – Instagram is expanding its ‘shopping in Stories’ feature on a global scale. After testing the update with a select number of e- commerce brands in June including Marks & Spencer and Charlotte Tilbury, the app will roll out the update to all business accounts as well as launch a designated Shopping channel within its Explore tab. This newly released Shopping channel will offer a unique space where consumers can purchase products from brands they already follow as well as discover new brands they may be interested in. Why is this important for brands? 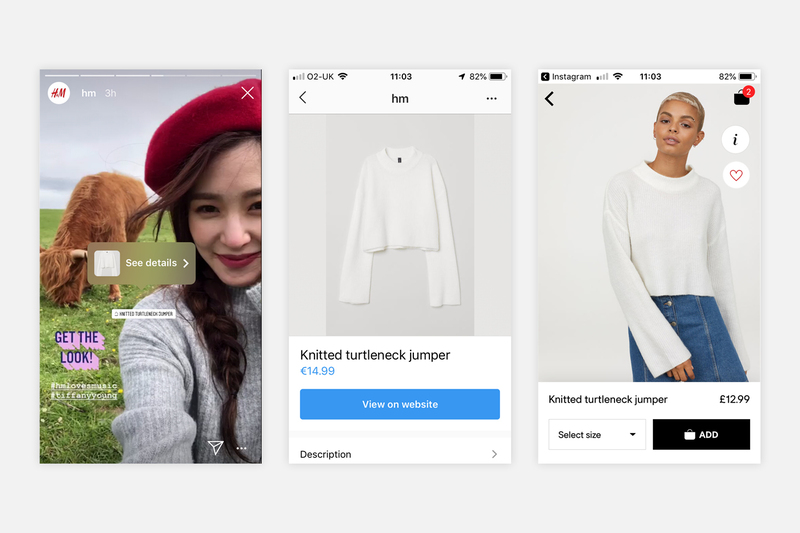 These new Instagram shopping features will enable brands to not only use the app as a marketing tool but also as a fully fledged e-commerce channel. Unlike typical Stories adverts, which businesses pay for, shoppable Stories posts (pictured below) contain stickers that link directly to specific products. The Shopping in Stories feature allows brands to place a shopping bag icon on products within a story, whether this be a behind the scenes style post, or targeted sales messaging. When followers (or potential customers) click the shopping bag they will be able to view product information as well as more images, and most importantly click a link to the brand’s website to purchase the product. With over 400 million people engaging with Instagram Stories each day, introducing this app update will help brands to further increase their reach both when targeting existing customers and prospecting new consumers. It’s also interesting to note that Instagram Stories aren’t affected by the app’s changing algorithms, so this provides a greater reach and maximised Return on Investment. 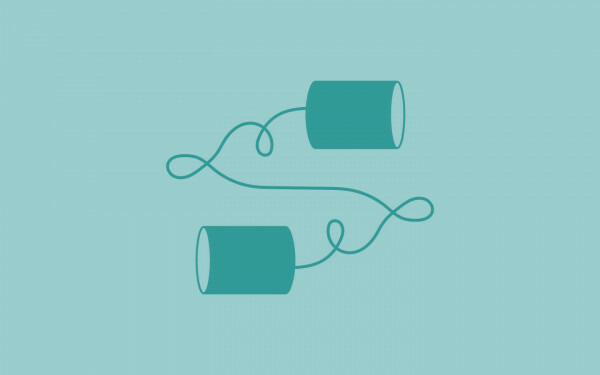 US childrenswear label Spearmint Love reported a 25% increase in traffic and an 8% increase in revenue as a result of the beta testing from using Shopping in its Instagram Stories. 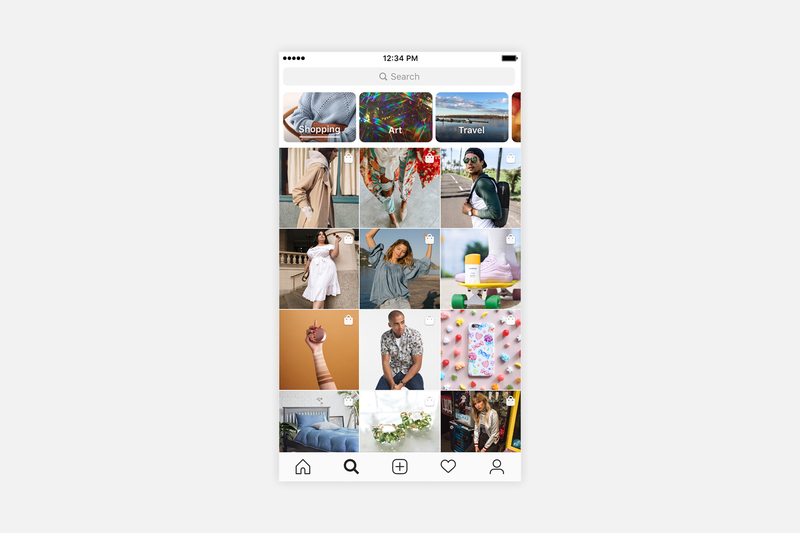 “We now have 90 million people tapping on a shopping icon globally and more than 80% of Instagram’s one billion users follow a business account,” said Gord Ray, product marketing lead at Instagram. 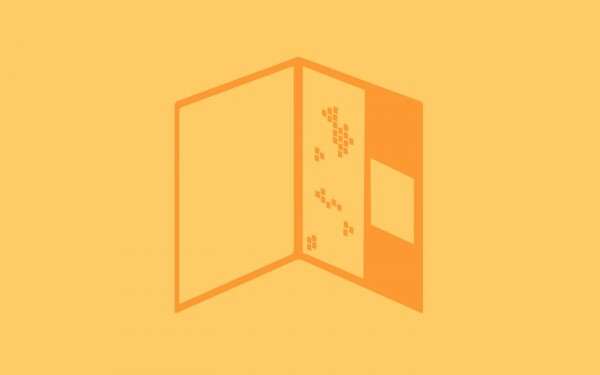 The standalone Shopping tab in the Explore section of the website will be tailor-made to each individual and will bring a personalised, curated feed dedicated to products from brands that a user already followers, as well as suggesting products from brands that may also be of interest. As more and more brands start to take advantage of shoppable Instagram content they will also have to up their social marketing game in order to stand out in what may become an oversaturated market. Here are three ways to craft engaging Instagram Shopping Stories. There are many benefits to using video on Instagram Stories, primarily due to increased length of visibility. Instagram video Stories can be up to 15 seconds long, while photos are only shown for seven seconds. There are plenty of ways to incorporate Instagram’s new Shopping feature alongside video content. Behind the scenes videos work particularly well – companies can showcase new products as they arrive in store through ‘unboxing’ videos, while other videos could show the product in action. Screen recordings are also a simple way of promoting new products. A recording of a brand’s website can show new product, alongside the shoppable link to go directly to the website. Amazon Prime Video’s recent Instagram Story cleverly used a screen recording of someone shopping for a screwdriver to promote the new series of Dr Who. Last October Instagram launched a poll feature within Stories. Polls are a fun and easy way to engage an audience as well as gaining realtime opinions that can shape marketing strategies. One way brands can utilise this is to ask followers what product they prefer, providing links to the product pages on the brand’s website. After a poll goes live, Instagram sends notifications when someone votes. 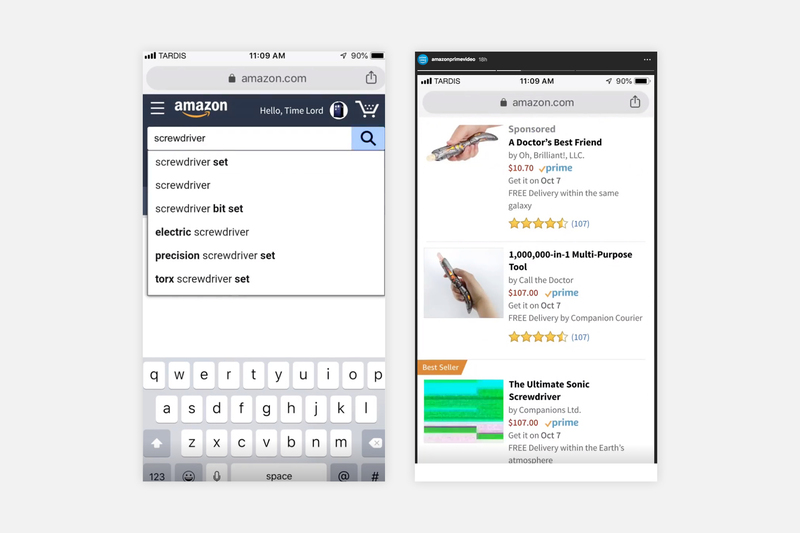 It’s a simple, effective way to see what products are more popular. 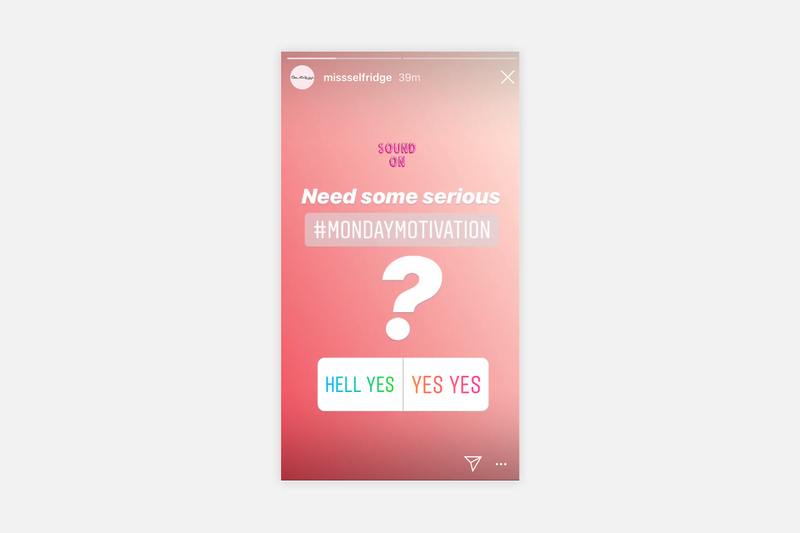 High street brand Miss Selfridge takes this one step further and uses polls to encourage follower interaction by asking questions on a range of lifestyle themes. Followers want to see a brand’s personality. One way of doingthis is to use gifs within Instagram Stories. Gifs can draw followers attention to certain elements of a brand’s story, highlight key pieces of text or even up a brand’s selfie game. They’re also especially useful when promoting sales or offers. 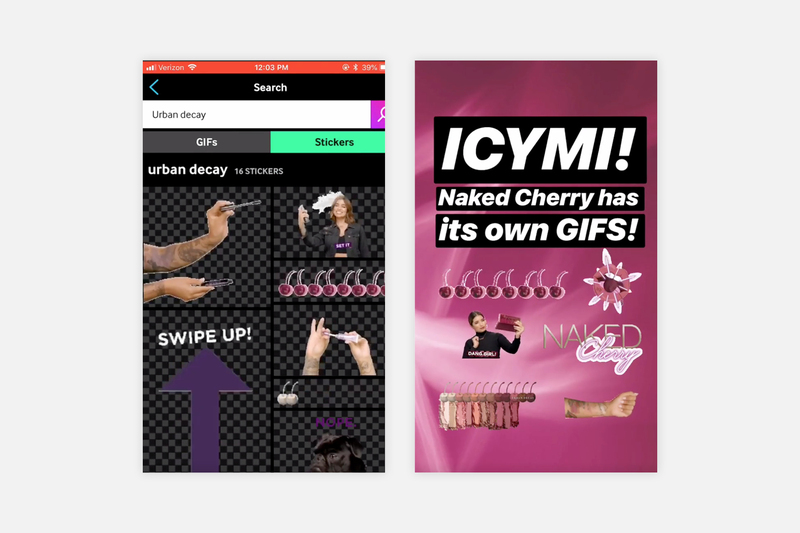 Cult beauty brand Urban Decay has created its own branded gifs to celebrate the launch of its Naked Cherry eyeshadow palette, encouraging followers to use the gifs on their own social media posts. 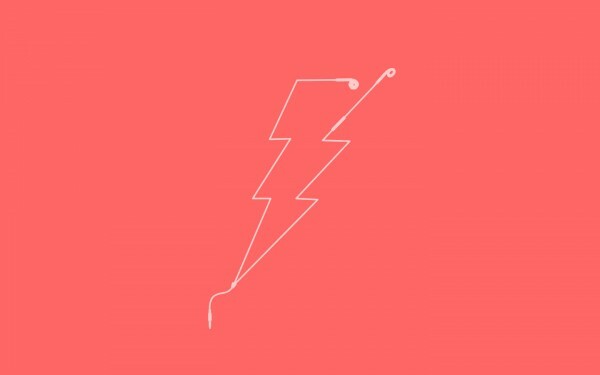 Does podcasting's rise from nerd to herd open a new avenue of brand communication? How do you conceptualise a branded magazine and digital platform?